IKF Powernet is one of the fastest broadband internet provider. Nowadays IKF is the popular broadband in Kolkata, West Bengal. IKF Broadband as introduced first of its kind unlimited internet plans in Kolkata. 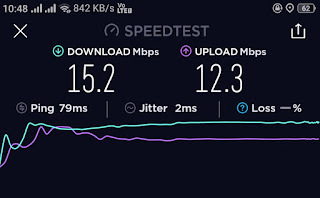 I'm connecting IKF Broadband 1 month ago and I get approx 2 Mbps download speed of Rs.470 MERCURY plan. Here you can see the plan name in planet. The eight planets are : 1. Mercury, 2. Venus, 3. Earth, 4. Mars, 5. Jupiter, 6. Saturn, 7. Uranus, 8. Neptune. You can see the speedtest of this broadband in Rs.470 plan. You can visit www.ikftel.com for get more information.